Accounting errors happen from time to time, but many common accounting mistakes can be avoided with proper planning and preparation. We all know that it usually takes more time to correct a mistake than to get it right the first time. Interestingly, it is also cheaper to identify and correct mistakes early in a project rather than waiting to correct the problem later. If you treat your business like a long-term project, then you will want to be proactive by becoming aware of common mistakes that others are making and correct them early on, which will not only save your company time, money, and headaches but also give you a competitive advantage in the marketplace with more streamlined operations and better customer satisfaction. The following are common accounting mistakes every CPA has seen small business owners make. Even small business owners, self-employed individuals, and freelancers should set up formal, documented, and detailed procedures for managing bookkeeping and accounting procedures as well for performing other routine tasks. A helpful step is to develop standardized forms and checklists to complete to ensure consistency and accuracy. For example, you will want to document a process for setting up new vendors. You will need the vendor's name, address, telephone number, and Employer Identification Number (EIN), among other documents such as insurance certificates, letters of recommendation, or signed contracts. Then you will need to enter this information into your accounting software so that you can process payments. You will want to take the time needed to consider the information you need to gather from your vendors, develop a standardized form or checklist to make sure you get that information, and then have a written policy that your employees can follow. Data entry errors occur from time to time. While you cannot prevent all data entry errors, you can have a policy to perform various reconciliations in a timely manner to ensure that data entries are detected quickly and can be corrected. For example, you will want to perform monthly bank reconciliations, as well as accounts receivable and payable reconciliations. 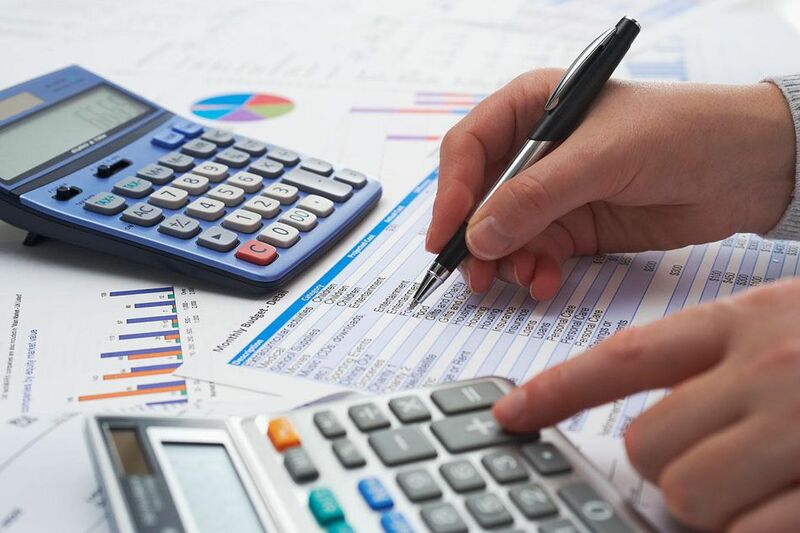 You can also run budget-to-actual variances to identify possible errors in classifying revenues or expenses or run customer receipts or vendor payment reports periodically to ensure that all receipts and disbursements seem reasonable. Unusual transactions should be reviewed to ensure that no data entry mistakes were made and that the transactions are accurate. You need to back up your business’s accounting software and other data regularly. Many small business accounting software programs have a feature that lets you set up automatic backup of your accounting program. Use it. You should also take the time to double-check your backup files, even going as far as to use the backup file to see if you can run your business as usual with it. Sometimes files corrupt; sometimes you do not back up all the data you need. A quick check can identify problems with your backup process so that you can ensure you have everything you need to continue operating your business if the need should arise. Outsourcing administrative tasks that do not add value to your company can be an advantage. For example, a tax accountant is likely better versed in tax law than you are, so outsourcing tax planning and preparation to your accountant will let you lower your tax liability, increase tax compliance, and leave you with more time to devote to revenue-generating activities. Many small business owners do not want to delegate responsibility to other capable professionals, but outsourcing accounting, legal, IT, and other administrative functions can reduce errors and increase profitability if you use the newfound time wisely. The shoebox method of accounting is probably not a good choice for small businesses with more than just a few transactions per year. All money coming in and going out of your business must be assigned to the appropriate category. Business owners who stay on top of their accounting records do not run into mistakes. They will know who was billed, how much, and whether or not the customer has paid. You will also find you’re your year-end tax preparation will be much smoother than trying to reassemble the records you need to prepare your business’s tax return right before the return is due.